Thank you for this wonderful giveaway! 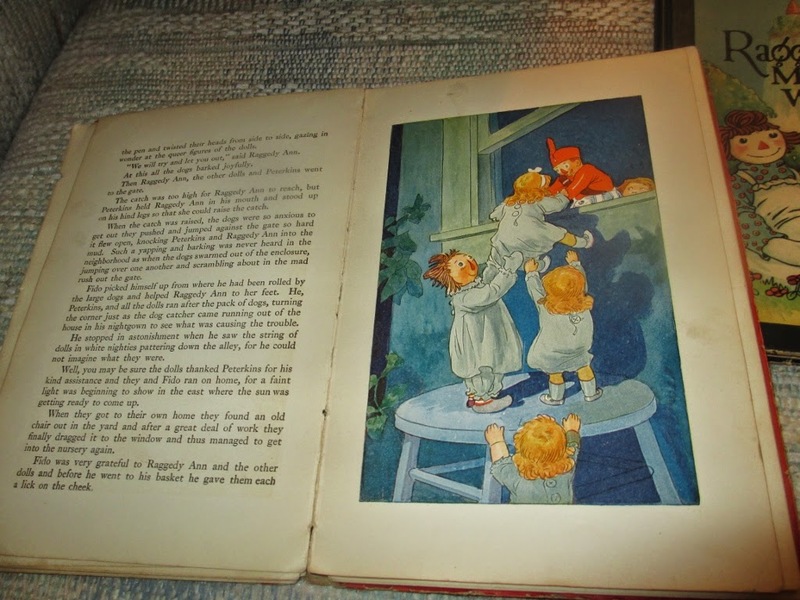 When I was younger my mum used to read us kids raggedy anne stories every night before bed. She made my childhood wonderful! oh this is so neat- especially since i learned the history of these dolls ! Thank you for this incredible giveaway! I love Raggedy Ann & would love to pass one on to my daughter! Hi All. I am not using one of those complicated giveaway tools so that you don't have 10-20 choices just to enter. HOWEVER, if you enter you MUST email me your email address or I will not be able to contact you if you are a winner. 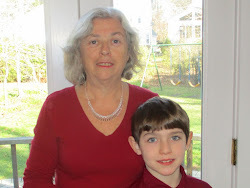 Just send an email to marion@grandmachronicles.com with the name you used to post your comment and your email address. How nice! I remember my own Raggedy dolls. Now it's time for my grand-daughter to have a set. oh how nice,thanks for the chance,,I Love Raggedy Ann! I remember when I was little (in the 80's) everyone loved Raggedy Ann. My aunts made me a twin blanket that has Raggedy Ann and Raggedy Andy and a pillowcase to match. To this day I have them and use them on my bed still. It brings back such good memories of my loving family. I had a Raggedy Ann and Andy doll set that I loved very much growing up. I would love to win this for my girls to have their own. Thanks for the chance to win. Thank you for this beautiful background and the giveaway. My mom would love these. She is a military wife (my dad is now retired) and I am also now a proud military wife. Throughout all of our moves, somewhere my mom lost her beloved Raggedy Ann and Andy dolls. The stars and stripe theme would be meaningful and my parents anniversary party is coming up in two weeks. I could not imagine adding this to the gift list! :) Thanks again. These are absolutely adorable. 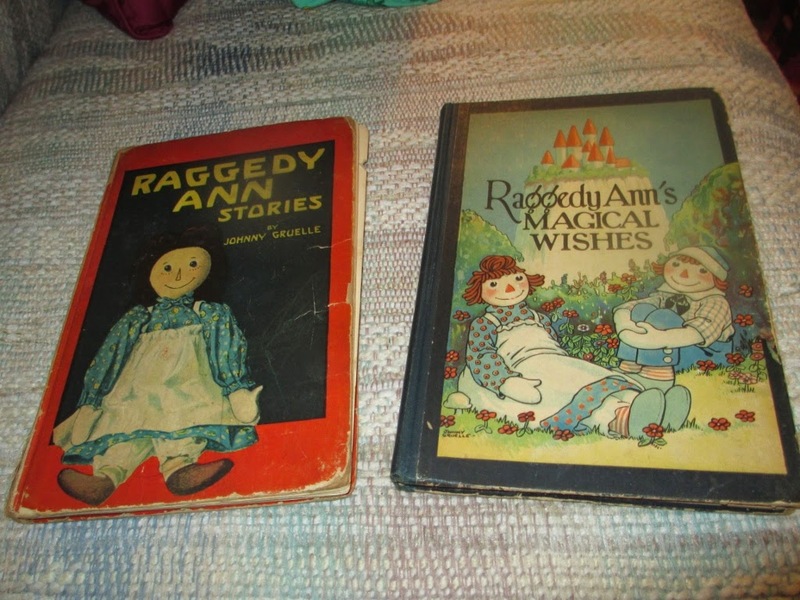 I had both a Raggedy Ann and Andy doll as a child and I adored them..I'm sure these will find a sweet home! :) Thank you for a fun, sweet giveaway. Oh my goodness, I'm so in love!!! I took my daughter to see the Raggedy Ann & Andy Museum in Arcola, Illinois when we were visiting family. That was about 6 or 7 years ago. I think it is closed now. 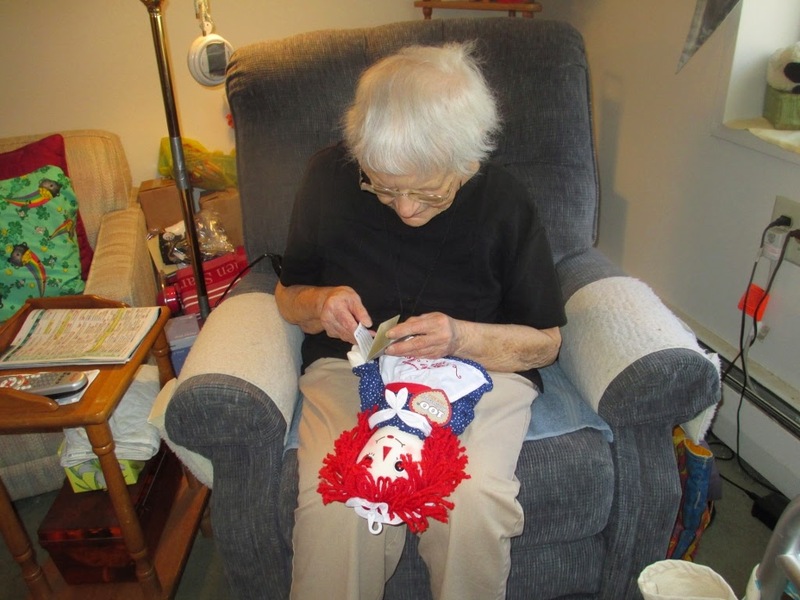 The grandaughter of the creator of the dolls, Joni signed a Raggedy Ann doll for my daughter. I remember my Raggedy Ann I had as a child. 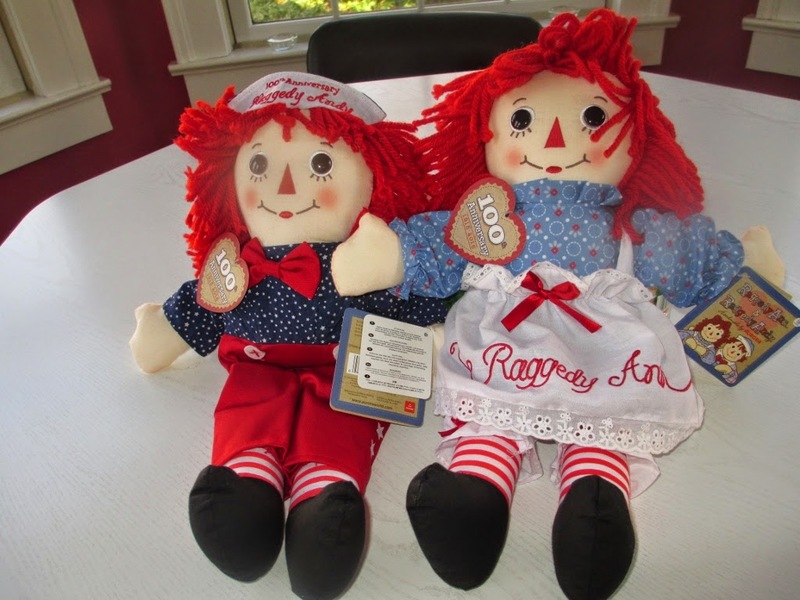 Raggedy Ann brings back many memories, I had her and Andy growing up and loved them both!! What a special and heartwarming story and giveaway! Thanks for sharing with Small Victories Sunday Linkup. Pinning to our linkup board and hope you join us again this weekend. Hi Marion, thank you for sponsoring this awesome giveaway and for the opportunity to participate. I'm hoping that having my birthday on the closing date of your giveaway brings me good luck. I used to have a raggedy Ann when I was little! I have always love Raggyanne and andy. I will just leave my email address here. I still have my old Raggedy Ann doll! I love these dolls! I liked you on facebook. Raggedy Ann and Andy are such nostalgic dolls. Truly a wonderful giveaway. Thanks for the chance to win. OMG! Seeing this post brought back a lot of memories! I had a Raggedy Ann and Andy doll set that I loved to pieces! I would love to win this for my daughter! It would be great to win this prize for my niece. These would be great to have. We are big fans. I am and have always been a huge Raggedy Ann fan. I would love to introduce her to my granddaughters. I love Raggedy Ann Dolls... I have made many of them over the years. About 30 years ago when my 2 nieces were 2 and 3 years old I made them 3' tall dolls. I love these dolls! It brings back great memories. I remember having these dolls as a kid! I would love to get some for my little one! 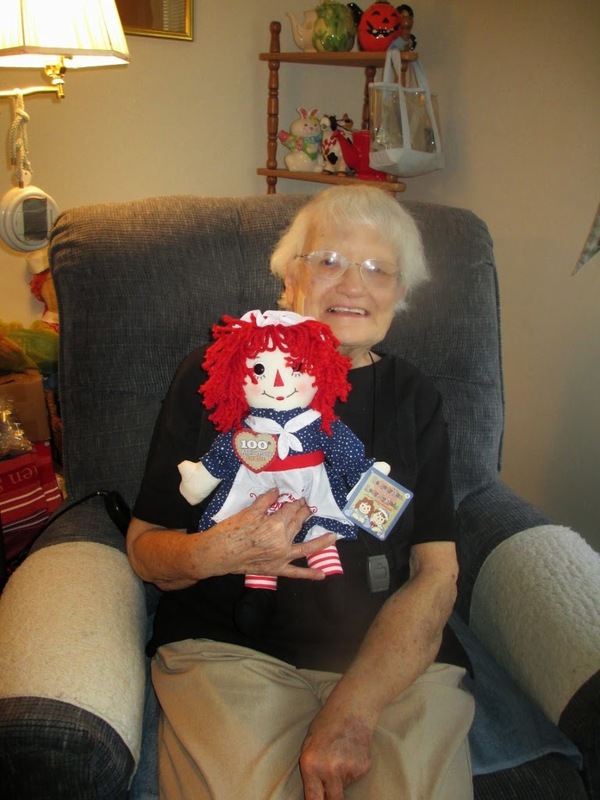 Raggedy Ann brings me back to a happy childhood, thanks so much! I had a Raggedy Ann when I was a child and I loved it. Such a wonderful memory! I love introducing my toddler girl to all of these wonderful toys I loved when I was young! I have been collecting Raggedy Ann since I was 2 years old and now as a stay at home mom of 4, I make Raggedy Anns for friends and fellow collectors. Love hearing from other collectors! Thanks! What a blast from the past, I love Raggedy Ann and Andy as a child. Back in 1981 my mom handmade me a Raggedy Ann costume complete with yarn wig for Halloween (I was a big fan as a child). Lots of wonderful memories of reading the books when I was young. Thanks for the giveaway! when I was a kid I had a holly hobby alarm clock - I remember the tune (if not the words) more than 3 decades later. I sometimes wish I had it now (and then I look up the prices on ebay haha)! I've also liked your page on facebook and emailed you. thanks for the chance! I remember Raggedy Ann from my childhood. I had a doll and book but mostly I rember my Raggedy Ann birthday cake when I was 8. I love raggedy ann dolls, I have had one since I was a little girl. My little brother and I had Raggedy Ann and Andy dolls growing up and we loved them! 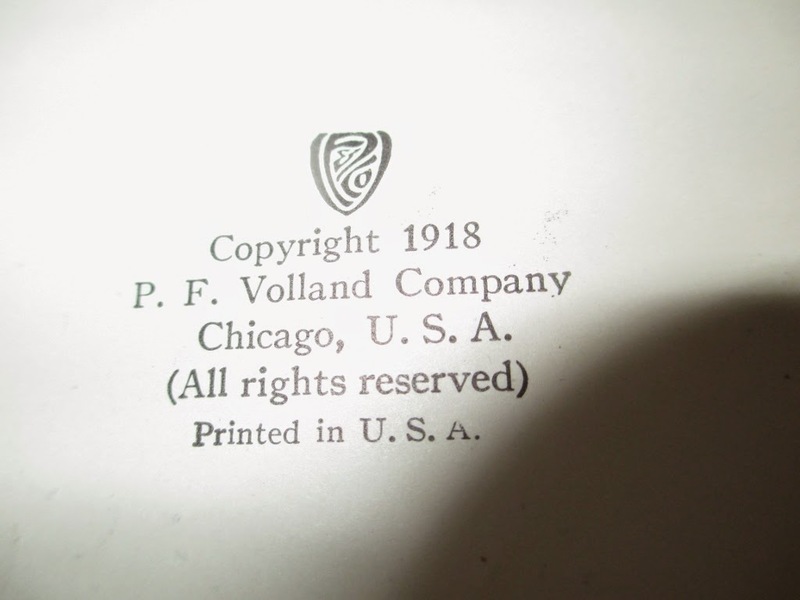 I can't believe they've been around 100 years already! I also liked your Facebook page. I had a Raggedy Ann doll when I was little, and so did my daughter. I have a granddaughter now, and would love for her to have her very own. My step mom collects dolls. Would love to win these for her. I had one of these adorable dolls as a child! What great memories this brings back! I would like to win these - Nostalgic! 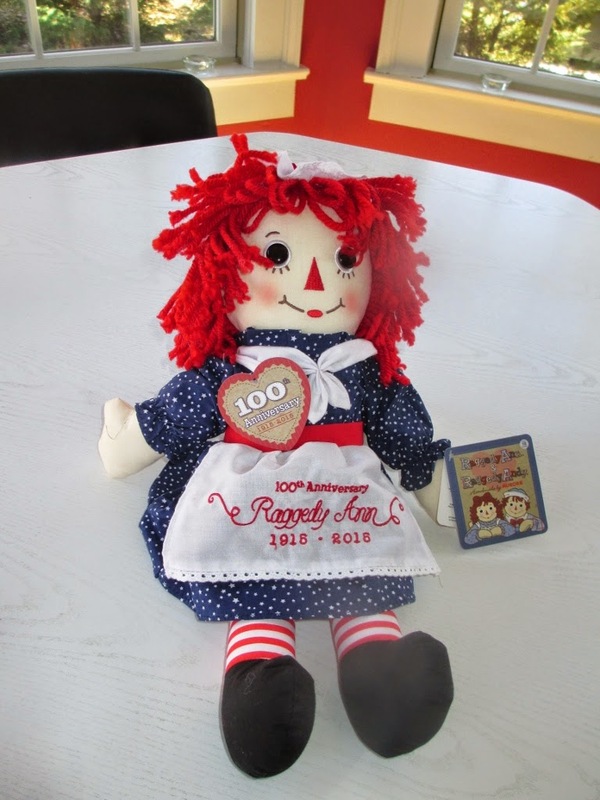 I remember having Raggedy Ann and Andy it was great and I would love to win and give her to my niece so she could have a wonderful memory with her also. I grew up with Raggedy Ann & Andy! Great memories! Thanks for the chance! I like collecting collectibles and these would be great! My mother had a raggedy ann from her childhood; usual "what happened to it".